The ongoing service provided by our energy consultants is available 50 weeks a year. Regardless of the size or industry type of your business, our fully trained consultants will ensure that all aspects of your account are catered for. Our clients have confidence that they will always have contact with their consultant, when they need it. 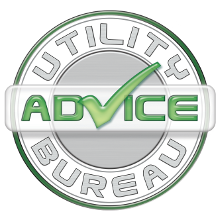 After accepting the services offered by the Utility Advice Bureau you will be entitled to our on-going service at any time during the length of the agreement that we have placed for you. In the unlikely event you suffer any problems concerning your supplies or questions concerning meter changes, re-profiling, billing or just a general enquiry then we are here to help. Our experienced team have extensive knowledge about every aspect of commercial Gas and Electricity agreements (new and old) since de-regulation commenced. IMPORTANT NOTE! Every supplier has termination notices that MUST be submitted within an alotted time frame. *All suppliers vary* Missing this time frame is extremely costly. Our automatic flagging system ensures that this will never happen to any of our clients.At this time we will provide all of the relevent documentation required to communicate a succesful transfer with all suppliers. We provide these on-going account management services free of charge!